Nick Paterson is an engineer, former RAF and commercial pilot, blogger, and Owner of Ultimate Fitness. In 2008, the financial crash took down Nick’s business in Finite Element Analysis Design, which catalysed Nick’s decision to become a house husband and focus on raising his young daughter. It was during this time that Nick realised his health was in rapid decline. In 2012, Nick bumped into a friend who had experimented with a high-fat low-carb (HFLC) diet and lost some body fat. Nick was very skeptical, but watched from the sidelines as his wife did the same and lost a significant amount of fat over several months and vastly improved her health. Not able to ignore it any longer, Nick took the plunge and went low-carb. Despite some good fat loss in the beginning, Nick soon hit a plateau and discovered that low-carb wasn’t the entire answer. 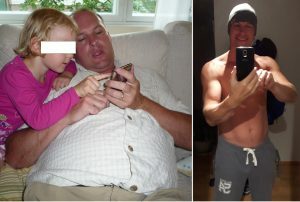 This led him to invest a ton of time to figure out the optimal diet for himself to help him lose his excess body fat and optimise his health. Eventually, Nick came across high intensity strength training via Body By Science, and coupled this with his nutrition knowledge to provide a Personal Training, Diet and Biometric Monitoring service. Nick is currently taking on new clients. 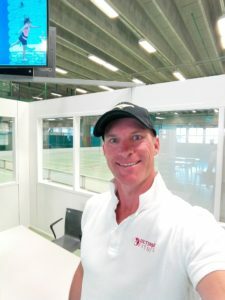 To get a free high intensity training trial in Helsinki, Finland, contact Nick here. Also, I encourage you to follow Nick on Twitter to learn about his crazy outdoor adventures! Great podcast. Wise advice overall. Lawrence, you see your solution to your habit changes are to be found in growing older and wiser (not a common characteristic these days). So this makes sense, when young and robust one can tollerate the punches and if one has been there and done it the need for it vanes away. My difference with Nick in these matters are that I did drink at a (To) young age and was done with it around age 21. Never looked back. So the same with all the rest of junk for the body and mind. Feel the benefit of non disrupting behaviour and it all becomes easy. But it starts with a intellectual insight. This is how I see all this health/nutrition stuff anyway. Benefit from our modern life regarding “allowing” to age to a decent amount of years and behave so you don’t damage yourself during the process. It’s rare to hear someone quit drinking at 21. That’s interesting. I appreciate the feedback and you made a good point in your other comment above about how we (me included) rely on junk food and alcohol to “enjoy” an event, time with friends, or dare I say it, be happy? I can have a great time with like-minded minded people without any alcohol or bad food included, but it’s difficult today when most people NEED to indulge in this stuff to enjoy events. Perhaps, one solve is to spend more time with people who share your values and much of this improves organically. That has certainly been the case for me. Ben Greenfield has a very interesting perspective on junk food here: https://highintensitybusiness.com/podcast/ben-greenfield-becoming-superhuman/. It’s funny because his perspective is controversial and quite unique but I think it’s probably dead on and, for some people, a useful way to view food that isn’t serving you. Congratulations to Nick for getting control of his health issues. His story is interesting and inspirational in several ways. However, some of his theories seem controversial. Inflammation is a very popular topic on health and fitness sites these days. It seems that almost every ailment associated with modern living gets blamed on inflammation, and the cure almost always involves a restrictive special diet, often backed by a new diet book. The very popularity of the topic leaves me wondering how much of this stuff is really evidence based. Good point Greg. Indeed, I am also skeptical of the extreme limitations, but find it interesting all the same. Andrew made a good comment about this above as well. Great episode I enjoyed it. The one thing I will say as a mental health professional is that it does worry me slightly people advocating eating no junk food or even carbs. I think it is unrealistic and could lead to an unhealthy relationship with food or even develop an eating disorder. Don’t get me wrong I think we should all strive to eat healthy on a daily basis but I don’t think having the occasional mars bar or alcoholic beverage should be seen as a bad thing. That I do not agree with. Ofcourse there is nothing inherent wrong with sometimes eating garbage. But do you suggest the manufactures of this junk keep us sane and that all those years before the garbage was around we humans developted eating disorders? Control urges will do so, sure but that’s different from just wanting proper human nutrition. And what about those that got away from meds by eating without junk but will fall back after the first mars bar? You state that you are slightly concerned, but is it maybe overly concerned? For me, I have no mentall issues by eating the way I do and not feeling a urge to eat junk or drink now and then alcohol or under social pressure. Again, if one want to do so I see no problem with it. But the body gives most often the sign of “bad choice” and the guuilt sets in too.Maybe something is wrong if one needs the junk/alcohol once in a time or every soccer game or being with friends etc just to feel good or better. Isn’t the company by itself not enough?? I think you make a very good point Ad. It’s an easy out for those of us that still indulge in a bit of junk 😉 me included! Today I had 2 Mulled wines (with 2 shots of rum – don’t tell Dr Ted Naiman! ), a burger, a huge cranberry scone, and an ice bun! Excellent podcast! Nick’s story of turning his own health around then beginning a journey to help others was incredibly inspiring. I’d love to go on one of his Lapland camping expeditions some day! Over all an interesting interview. I really identify with fatherhood catalysing a personal transformation. The longer the podcast went on though, the more my views diverged! Every health/lifestyle niche harbours and promotes it’s own delusions (veganism/CrossFit/ultra-endurance etc etc) but find it fascinating that we all listen and go along for the ride. While it’s compelling to listen to “extreme” opinions that conform to your biases, especially from charismatic sources, I really think that we risk giving a soapbox to people with “eating (or more properly, maybe “lifestyle”) disorders”. One person may have had what they feel to be “success” by following a certain path but one person’s experience may not reflect objective reality and should not become an epiphany to be preached to the world. Correlation does not equal causation, N=1 “findings” are meaningless. These super restrictive exclusionary diets are bordering on insane, having more in common with eating disorders than anything. On a more positive note it was interesting to hear that Nick trains one exercise to failure daily. I’ve been toying with the idea of doing something similar myself recently. I wonder how it would change the “feel” of recovery and my nutrient requirements. Interesting to think of how it might change one’s biomarkers too. Do you not think that it’s interesting that a large number of people seem to improve when certain food groups are omitted (like dairy, starches, etc)? I know it’s all horribly unscientific, but it’s difficult to ignore the thousands of anecdotes I see. I’m not saying I would copy the approach offered by Nick, but it’s certainly food for thought. All of that being said, I likely don’t have the critical thinking skills that you have, and welcome your thoughts. Anecdotes are kind of where it all falls down though. My body recomposition story could be made into a compelling narrative complete with inspiring photos and “commandments” for you all too….it wouldn’t necessarily make it true or applicable to anyone else. There’s a million folk out there on the fringes of every field of endeavour convinced they have the “truth” and they need to spread it. You’ve got media outlets constantly needing new content and you’ve got PT Barnum’s adoring public waiting for their “one weird trick”…it’s a tale as old as time. Oh also (can’t edit for some reason). As per your example, their anecdotes confirm your biases. As a thought experiment; have you noticed the thousands of vegans that say that every disease under the sun cleared up when they ceased eating meat? Why don’t you believe them? Meat & animal products have been known to cause serious illnesses in the body . This is nothing new and has been known for decades like it or not . That aside ask yourself if consuming the flesh of other creatures is healthy from a logical/common sense perspective ?! This is absolute nonsense. Consuming any foodstuff in excess while neglecting physical activity will lead to poor health outcomes. To say that any and all animal products are injurious to an omnivore is ridiculous. What your idea of logic/common sense has to do with the objective healthfulness of a foodstuff is I don’t know. Logic to me says that humans have been eating animals for over 100,000 years, it is almost universally acknowledged that animal flesh tastes delicious. The urge to hunt, kill and consume other creatures is deeply ingrained in humans for a reason. I simply do not understand how you could think otherwise. If you don’t understand my perspective on nutrition then so be it ! I’ve explained my views on this subject ad nauseam . Did you ever consider the fact that your views on nutrition are clouded due to the influence of evolution/hunter gatherer information ?! There are very interesting perspectives on the hunter/gatherer historical narrative and how the word ” hunter ” is emphasized over gatherer in order to fit in with the evolutionary narrative . And that human survival was a lot more dependent on gathering as opposed to hunting . And as far as animal flesh tasting delicious yes i agree when you consider all the condiments/spices/rich & delicious sauces that accompany the meat . But when you consider hunting in the wilderness the fresh kill and the animal urinating & defecating itself along with all the grotesque things that have to be done before the eating commences , and without the aforementioned things it becomes a very different story ! I’m afraid we seem to live on different planets. It seems like you’re suffering from some kind of weird food aversion. Raw meat with no accompaniment is delicious, although cooked is often better my wife’s favourite food for example is steak served “blue” with bone marrow. I wonder if you’re a victim of the overly sanitised modern world? I grew up in a farming community, I’ve helped bring life into world from a young age. That in itself is an incredibly gory process, that’s how life starts, amid gore and bodily fluids, it’s nature. I’m not much of a hunter but I’ve killed, skinned, plucked and butchered animals for food like millions of people before me. You are very much in the minority over human history. I have absolutely no concern what you do and what you choose to put in your body in case i didn’t make that clear . I’m simply offering another point of view and i’m not trying to convince you of anything . Using logical fallacies like appeal to authority & truth by consensus & appeal to tradition doesn’t make you right or what your saying true . You still don’t understand critical thinking (I don’t know why you’ve decided to take the discussion to this thread? No of your examples directly apply to my reply above) I’m not appealing to authority, I’m trusting the source with the strongest evidence base, for example your claim that meat “acidifying” the body VS medical evidence. Scientific consensus isn’t the same thing as general consensus. As for hominids eating meat for millennia, that’s not an appeal to tradition, it’s provable historical fact. Choose something non ridiculous to argue and I’ll stop engaging. Every single one of the examples i stated apply to you precisely because all you do is engage in logical fallacies with appealing to authority being the main one . It is in fact you that understand nothing about critical thinking & logic as I have not seen any evidence to the contrary . I will no longer be engaging with you so you will no longer have to worry about my foolishness . You’re incorrect. An appeal to authority is perfectly valid if the authority has proven their contention. It’s not that the expertise or consensus makes something true purely through its own virtue, it’s the preponderance of evidence in support of a theory or concept. While there is always a chance that an authority is wrong, dismissing legitimate expertise is just denialism, not critical thinking. What constitutes evidence ? Whom and what decides/dictates what evidence is ? The most critical variable that you fail to consider is POWER ! And POWER enables those in AUTHORITY to decide what evidence is irregardless of the integrity/validity of the so called evidence ! As i previously stated even peer reviewed science ( the so called gold standard ) of scientific scrutiny has been shown to be totally corrupt . Again if you doubt this look into it for yourself . Outta here ! Anything that you don’t like & agree with is nonsense !? Anyone can simply parrot information coming from the ” scientific establishment ” but such does not make you an intellectual nor a critical thinker . To me critical thinking involves challenging/questioning the status quo and the information they disseminate . For example this website/blog advocates & promotes a training methodology that isn’t supported by mainstream science nor the exercise establishment as a whole . Does that indicate that HIT training isn’t true/valid and deliver great results ? The answer to that is no . And those that use this training method know very well the many benefits and rewards of utilizing it . HIT is not in opposition to science. It’s in opposition to mainstream opinion. You seem to have trouble separating those two terms. HIT isn’t in opposition to science ?! REALLY ?! It all depends on which ” science ” your referring to doesn’t it because according to many in the field it is and has been for a long time . Many people’s health/longevity has improved with the elimination of meats/diary & the addition of starches/veg/fruit . Unfortunately our biases tend to muddy the waters with regard to seeing things objectively/truthfully . I don’t think that training on a daily basis under any circumstances is a good idea with respect to recovery/health/longevity . What you “think” and reality aren’t necessarily the same thing. The specifics of training stimulus combined with individuals response/recovery ability can produce wildly different results. Of course individual recovery ability varies i’m very well aware of this , i’m simply saying that one must consider cumulative stress/wear & tear on the body . Just because one can tolerate something doesn’t necessarily mean one should do said thing with respect to longevity .